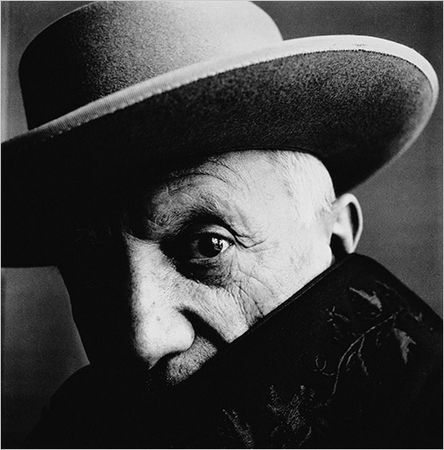 Irving Penn (b. 1917), Pablo Picasso, Cannes, France, 1957, Gelatin silver print, selenium toned (2000), 26 3/4 x 26 9/16 in., Purchased as the gift of Richard L. Menschel and with the support of The Horace W. Goldsmith, Fund for Americana and The Margaret T. Morris Fund; 2007.69. Copyright 1960 by Irving Penn. NEW YORK.- Spurred by its highly successful 2006 expansion and renovation, The Morgan Library & Museum simultaneously continued to build its renowned collections. The results of this effort are unveiled in the exhibition New at the Morgan: Acquisitions Since 2004, on view April 17 through October 18, 2009. The approximately one hundred works in the show demonstrate the great scope of the Morgan’s collecting interests and include old master and modern drawings, literary and music manuscripts, illuminated texts, and one of the earliest examples of the printed book. 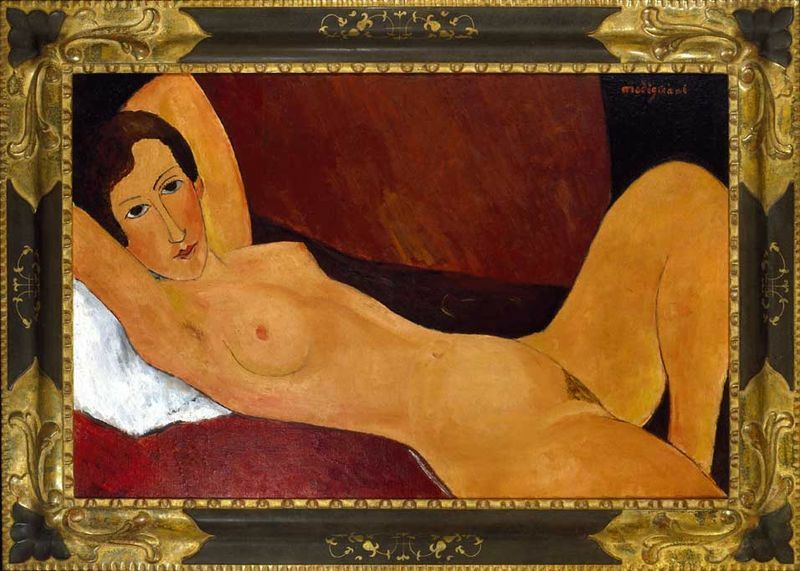 Such seminal figures as Rembrandt, Matisse, van Gogh, Wilde, Joyce, Beethoven, and Wagner are represented. 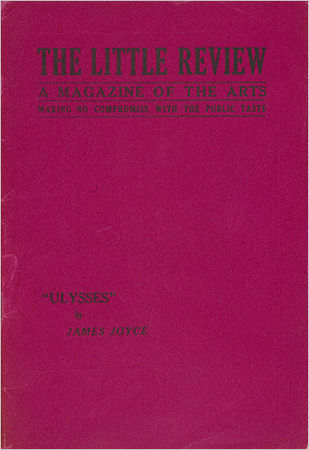 The earliest work is a treatise in praise of poetry, dating to ca. 1300, and the most recent, a drawing by Alexander Ross (b. 1960), dates to 2007. 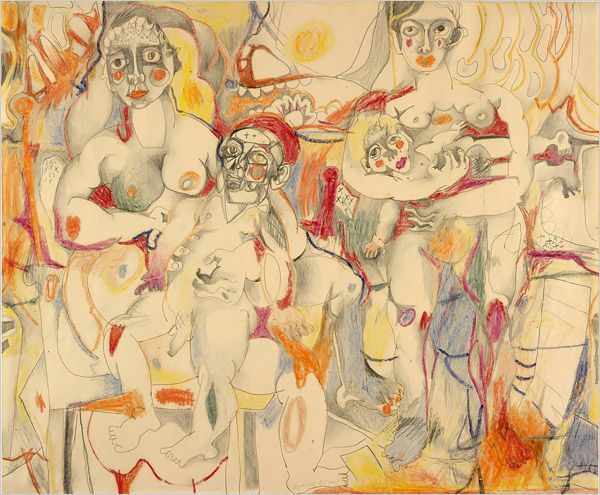 The selections in New at the Morgan were chosen from more than 1,200 works acquired since 2004 as well as a large group of printed music and related items that came to the Morgan as part of the James Fuld Collection. The exhibition is notable for the prominence of works by contemporary artists, an area of recent interest to the Morgan. In addition to the work by Alexander Ross, the show includes drawings by Helen Frankenthaler (b. 1928), Red Grooms (b. 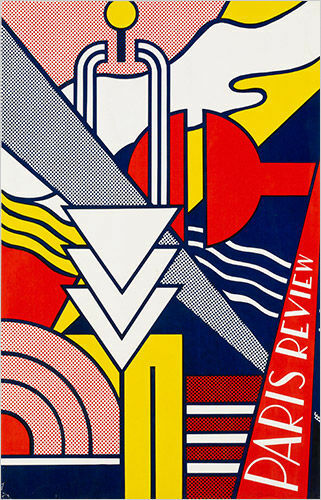 1937), Robert Morris (b. 1931), and Bruce Nauman (b. 1941), among others. 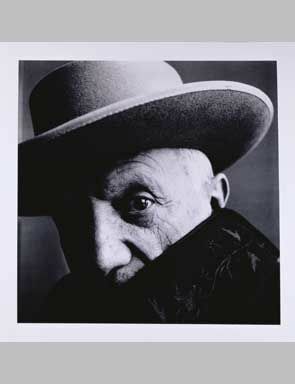 Modern photography is also represented, with works by Irving Penn (b. 1917) and Diane Arbus (1923–1971). “A hallmark of the Morgan is the breadth and quality of its collections,” said William M. Griswold, the institution’s director. “With the Morgan’s dual identity as a great research library and a museum, its holdings speak to the broad range of Western artistic achievement and the creative process. 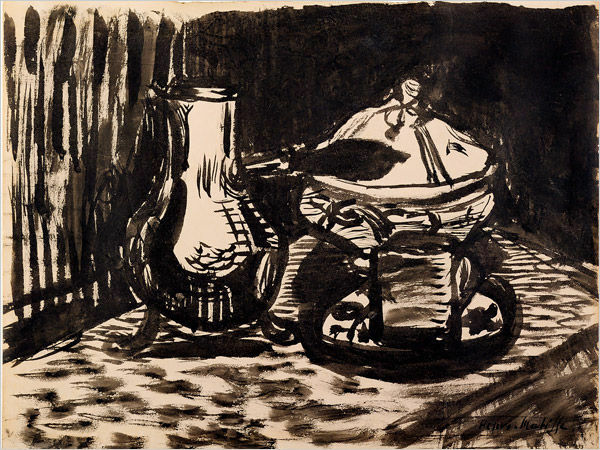 There are few places in the world where one can encounter in a single visit—much less a single exhibition—the work of Rembrandt, Matisse, Joyce, Wilde, Beethoven, and Wagner. The organization of New at the Morgan focuses on relationships among various objects according to broad thematic categories. For example, a section entitled “Sketches and Drafts” brings together a drawing for a sculpture by Bruce Nauman with a sketch for the Seventh Symphony by Ludwig van Beethoven (1770–1827), a draft for a poem by Dylan Thomas (1914–1953), a preparatory drawing for an unfinished medieval manuscript, and a sketchbook by Edgar Degas (1834–1917). As a group the works underscore an important aspect of the Morgan’s collections: an emphasis on items related to the artist at work. A section called “Nature” presents traditional landscape drawings next to a Turner-like painting on paper by Helen Frankenthaler, a seventeenth-century detailed study of insects, a manuscript by Charles Darwin (1809–1882) defending his groundbreaking theory, and an edition of Ted Hughes’s (1930–1998) Animal Poems with a handwritten copy of “The Jaguar.” In a closer parallel, a late-nineteenth-century watercolor of a cherry-picking scene by Impressionist Berthe Morisot (1841–1895) echoes a depiction of the same subject in the margins of a fifteenth-century illuminated manuscript. Other parts of the exhibition are devoted to such themes as religion and politics. To highlight the Morgan’s recent interest in modern and contemporary art, a section entitled “Modernism and Beyond” pairs a self-portrait by Egon Schiele (1890–1918) alongside a “subway drawing” by William Anastasi (b. 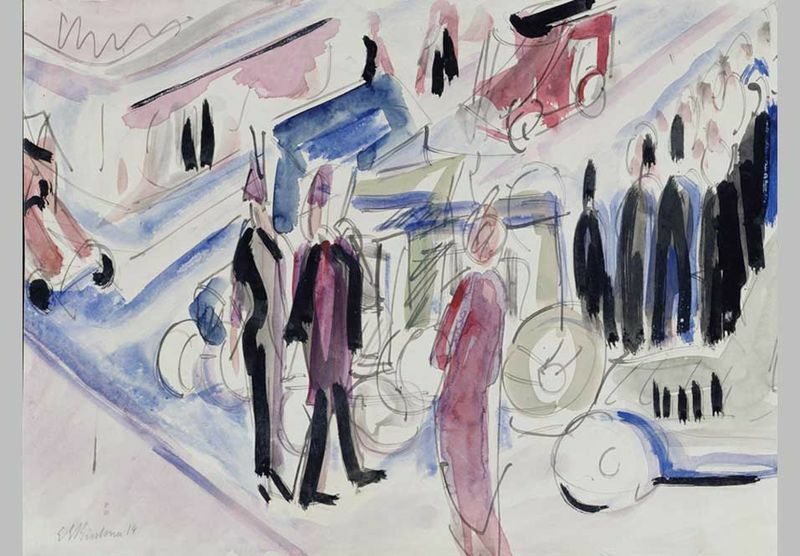 1931), and a drawing by Erwin Pfrang (b. 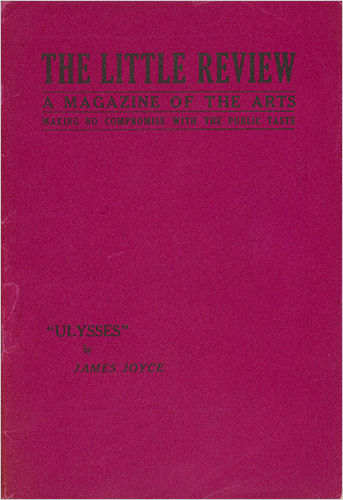 1951), a German artist whose style is influenced by James Joyce’s stream-of consciousness narrative, is displayed adjacent to the first appearance in print of Joyce’s Ulysses in the famous periodical Little Review. 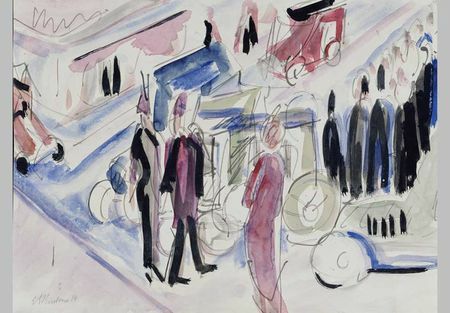 Drawings From the first half of the twentieth century, the exhibition includes an early still life by Henri Matisse (1869–1954), a lively street scene by Ernst Ludwig Kirchner (1880–1938), and the Schiele self-portrait. 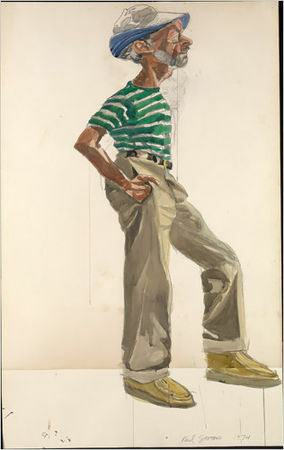 The last two works were part of the 2005 bequest of Broadway lyricist Fred Ebb. 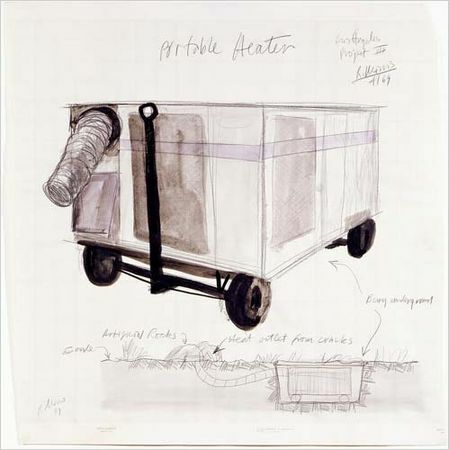 Drawings from the last fifty years include the Frankenthaler abstraction which was painted on a brown paper bag, a large and impressive watercolor portrait of photographer Rudy Burckhardt by Red Grooms, a sketch by Robert Morris for an outdoor project, and the drawing by Bruce Nauman, in which dry calculation and poetry combine to reveal the artist’s creative process. The works by Nauman and Morris were purchased as gifts of the Morgan’s newly formed Modern and Contemporary Collectors’ Committee. 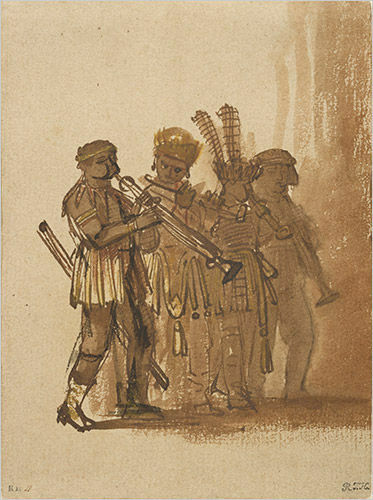 The selection of old master drawings includes a rare sheet by Rembrandt (1606–1669) depicting four black musicians with wind instruments, unusual in its technique of combining chalk with pen and ink. 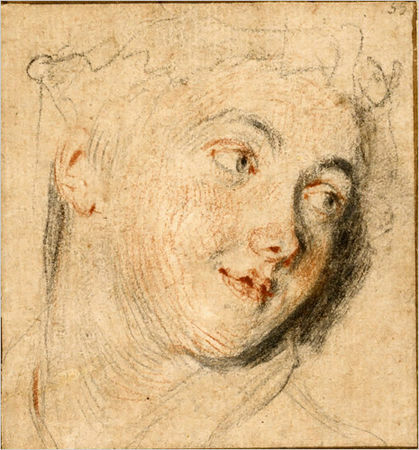 Also on view are drawings by Anthony van Dyck (1599–1641) and Claude Lorrain (1600–1682). 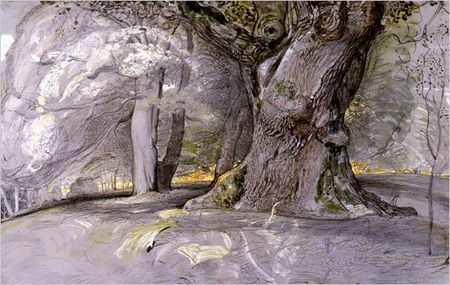 From the nineteenth century are a spectacular watercolor-and-gouache study of trees by Samuel Palmer (1805–1881) and the Degas sketchbook, which contains twenty-one drawings and sketches made during regular Thursday-evening sessions with friends at the house of playwright Ludovic Halévy. 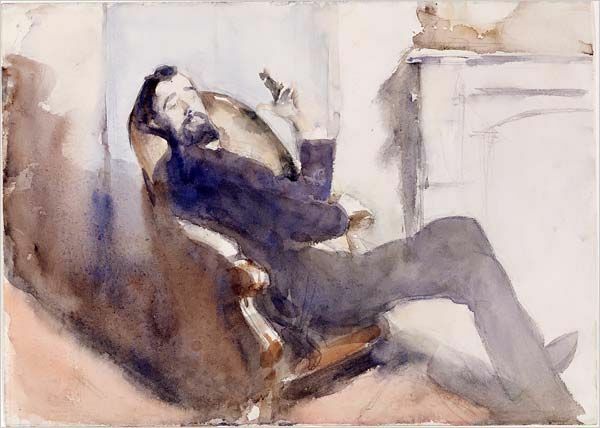 The Rembrandt, Palmer, and Degas were gifts of Eugene V. Thaw, one of the Morgan’s greatest benefactors. Literary and Historical Manuscripts The department of Literary and Historical Manuscripts is represented by a highly important selection of material by Oscar Wilde (1854-1900), the whereabouts of which had been unknown to scholars for over a half century, a draft poem by Dylan Thomas, and letters written by Vincent van Gogh (1853–1890), Henry James (1843–1916), and Robert Frost (1874–1963). 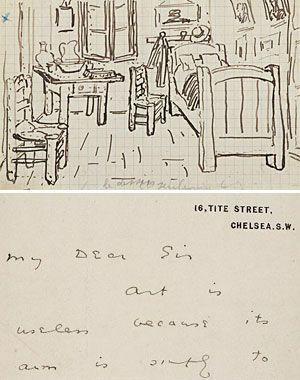 The Wilde collection is on view for the first time at the Morgan and includes Wilde’s first letter to his lover Lord Alfred Douglas (“Bosie”) as well as several manuscript drafts and a letter written shortly after the publication of The Picture of Dorian Gray that addresses the purpose of art—always a critical topic for Wilde. The collection is the recent gift of the late Lucia Moreira Salles. 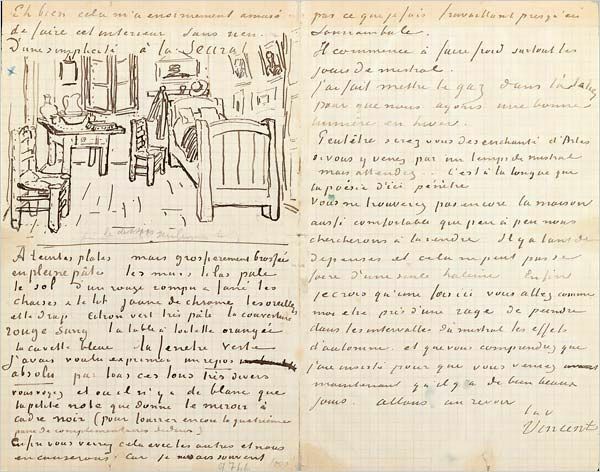 A letter from van Gogh to Paul Gauguin, dated October 17, 1888, includes a sketch of van Gogh’s famous painting Bedroom at Arles. It is one of a group of twenty letters given to the Morgan by Eugene V. Thaw. The Thomas poem is an early draft of “In the White Giant’s Thigh,” which appeared in the 1952 collection In Country Sleep.